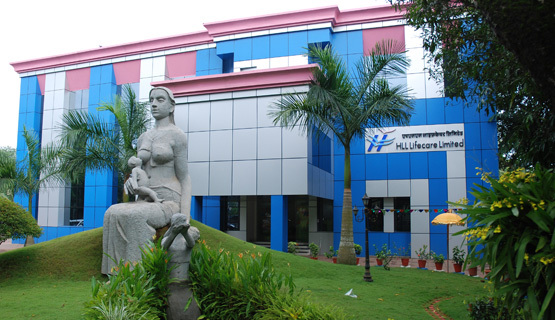 HLL Lifecare Ltd is a Mini Ratna Public Sector Enterprise having its registered and Corporate office is at Thiruvananthapuram, Kerala. HLL was established in 1966 with the objective of providing quality condoms for the National Family Planning Programme. Over the last 2 decades, HLL, has transformed – from a Condom company to a Contraceptive company, then to a Healthcare products company and now to a Healthcare delivery company. At present HLL has 7 state-of-the art manufacturing facilities and 22 regional offices across India. HLL also has presence in more than 115 countries across the world. The purpose of business at HLL is “to provide high quality products and services at affordable price”. HLL’s range of products includes Contraceptives, Hospital products, Pharmaceuticals, Ayurvedic products, Vaccines, personal hygiene products and diagnostic kits. Its range of services includes Infrastructure Development, Procurement Consultancy and Facility Management. HLL is positioned as a total healthcare solution provider catering to the well-being of the society at large.